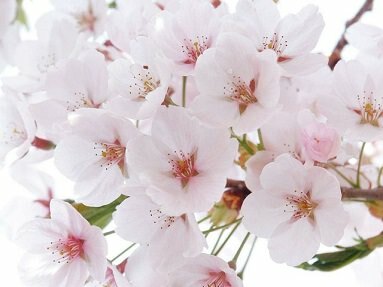 View Japan's 2018 Cherry Blossom Forecast! 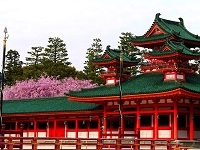 There are over one hundred cherry blossom tree varieties in Japan. A few of them are wild varieties native to Japan's forests, such as the Yamazakura, but the large majority of them have been cultivated by humans over the centuries for decorative use in gardens and parks. By far the most popular cherry tree variety today is the particularly pretty, cultivated Somei Yoshino. Somei Yoshino is a hybrid cherry of unknown origin, probably between Prunus speciosa (Oshima zakura) as father plant and Prunus pendula f. ascendens (Edo higan) as mother. It occurs as a natural hybrid in Japan and is now one of the most popular and widely planted cultivated flowering cherries (sakura) in temperate climates worldwide. 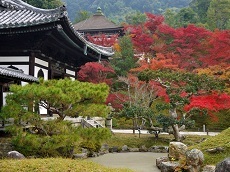 Yoshino cherry is initially believed to be native to Yoshino District, Nara. In 1900, Kimei Fujino gave Yoshino cherry a name Somei-yoshino after the famous place of cultivation Somei village (current day Toshima). 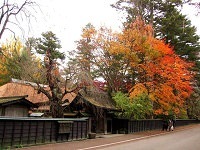 Somei Yoshino is a small, deciduous tree that at maturity grows to be 5 to 12 metres (16–39 ft) (rarely 15 meters (49 ft)) tall. It grows well in hardiness zones 5–8 and does well in full sun and moist but well drained soil. The leaves are alternately arranged, 6 to 15 centimeters (2.4–5.9 in) long and 4 to 7 centimeters (1.6–2.8 in) broad, with a serrated margin; they are often bronze-toned when newly emerged, becoming dark green by summer. The flowers emerge before the leaves in early spring; they are fragrant, 3 to 3.5 centimeters (1.2–1.4 in) in diameter, with five white or pale pink petals. The flowers grow in clusters of five or six together. 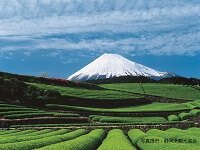 From the Edo period to the beginning of the Meiji period, gardeners and craftsman who made the village at Somei in Edo (now Komagome, Toshima ward, Tokyo) grew someiyoshino. 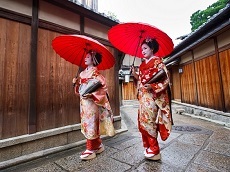 They first offered them as Yoshinozakura, but in 1900, they were renamed someiyoshino by Dr. Fujino. 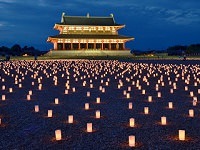 This is sometimes rendered as 'Somei-Yoshino'. The Yoshino cherry was introduced to Europe and North America in 1902. 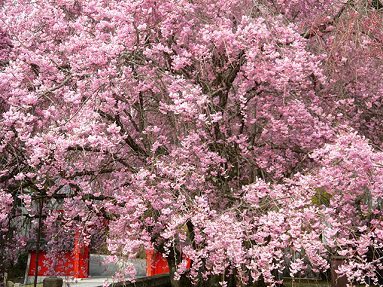 This tree, along with the cultivar Kwanzan (derived from the related Prunus serrulata), is responsible for the spectacular pink show each spring in Washington D.C. and other cities. Several of 2000 Japanese cherry trees given to the citizens of Toronto by the citizens of Tokyo in 1959 were planted in High Park. Yamazakura is a wild, native cherry blossom tree variety of Japan, which typically grows in mountainous areas. 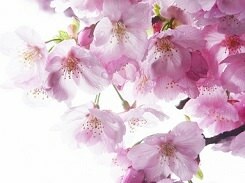 The blossoms are slightly pink and have five, relatively small petals. Shidarezakura are weeping cherry blossom trees, i.e. they have drooping branches. These trees have blossoms with five or more petals. Those with five are Shidarezakura and those with more than five petals are called Yaeshidarezakura. 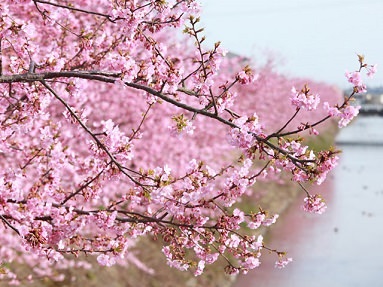 The Kawazu cherry blossoms (kawazuzakura) bloom from early February through early March, for about a month. 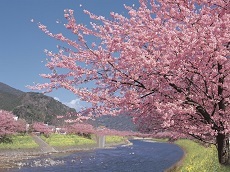 The Kawazu cherry trees have the characteristic of large pink flowers. 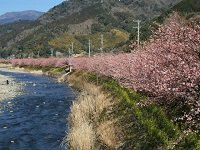 The rows of the cheery trees, "Kawazu-zakura Namiki," continue along the Kawazu River for about three kilometers, starting from the river mouth near the Kawazu Station to Mine Onsen. 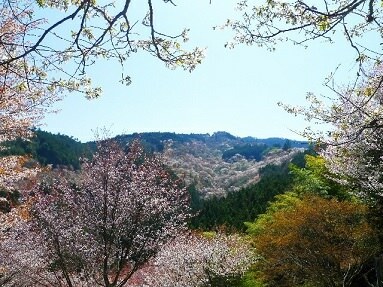 You will enjoy great pink flowers of Kawazuzakura on both sides of Kawazu River.